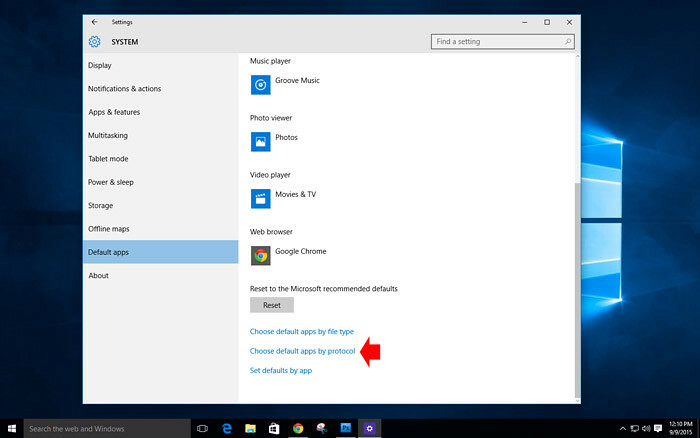 For those who are using Windows 10 and want to set or customize the default app settings, you can follow this instruction that I made for you. 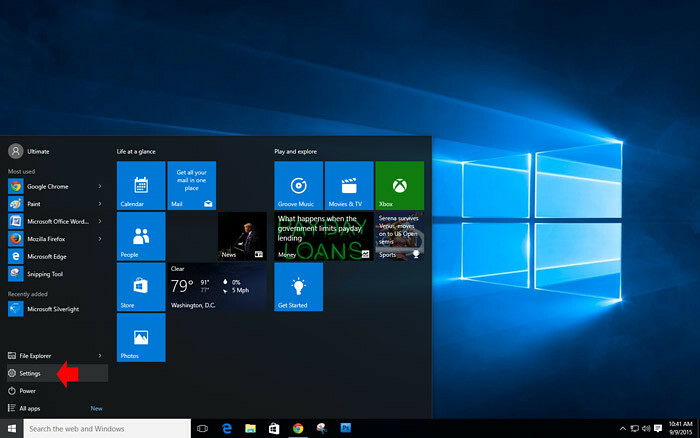 The Default Apps setting is not new to Windows 10 it also available in the past versions of Windows but it is reorganized to make it more functional and easy to customize. 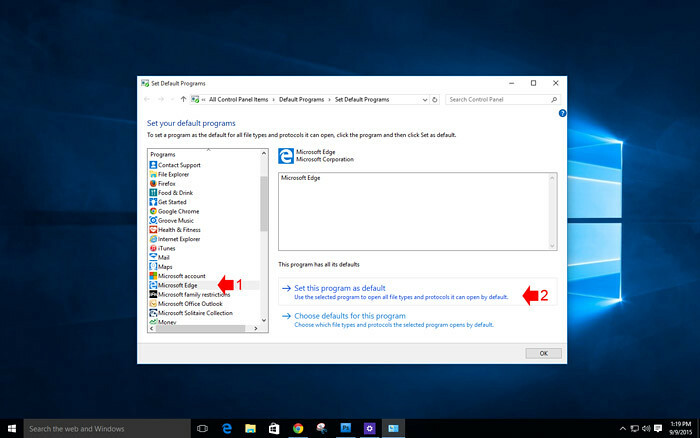 This instruction will teach you how to customize the default app, choose by file type or by protocol in your Windows 10. Under System, select “Default Apps” from here you can choose an app to launch, for example, when you open an image, you can choose which default app will open. 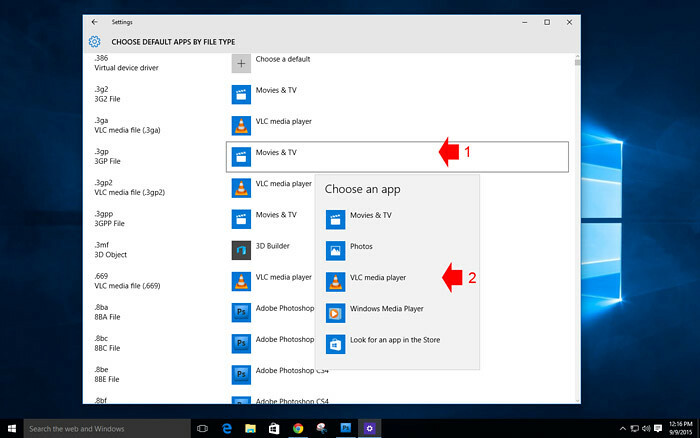 To pick which applications to launch when a particular file type is open, select the “Choose Default Apps by File Type”. On the Choose default apps by file type window, you can select the default app for every file type or file format the you open, you can easily identify the file type by file extension. For example, if you want to set the VLC media player app to open everytime you open a .3gp file, you can easily set here. In this section you can control how your computer handles the specific request for programs or application that you will open from external email clients, networked devices, remote desktop, etc. 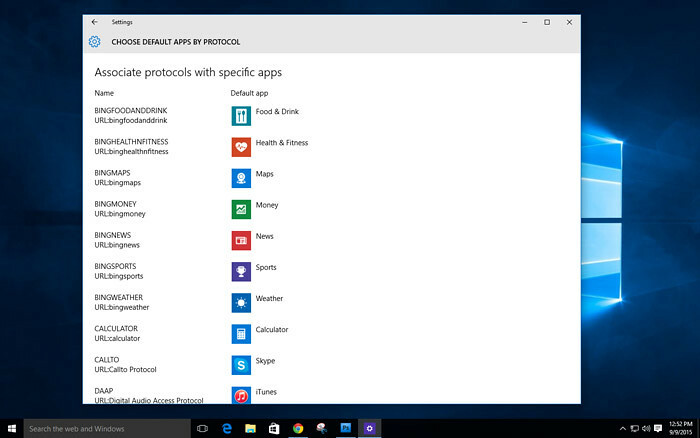 For example, you can set what a particular app to open for a specific website. If all these new application settings in Windows 10 are complicated to you and you want to prefer the old Windows 8/7 style you can use this. 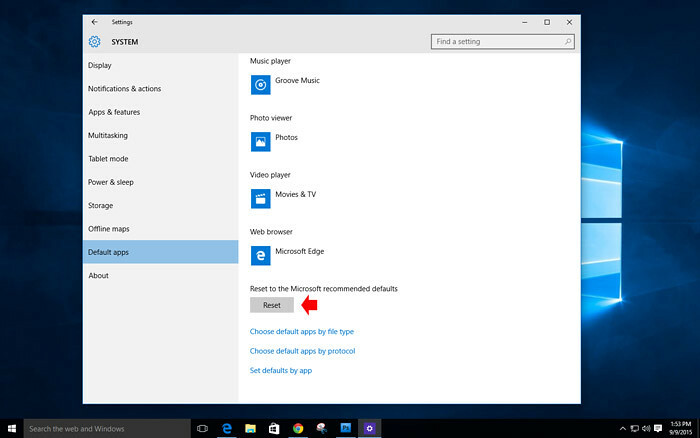 Microsoft has been sufficiently caring to still incorporate the first Windows setup interface for any individual who wants to keep it outdated. Click “Set Default by App” link to open the old interface. 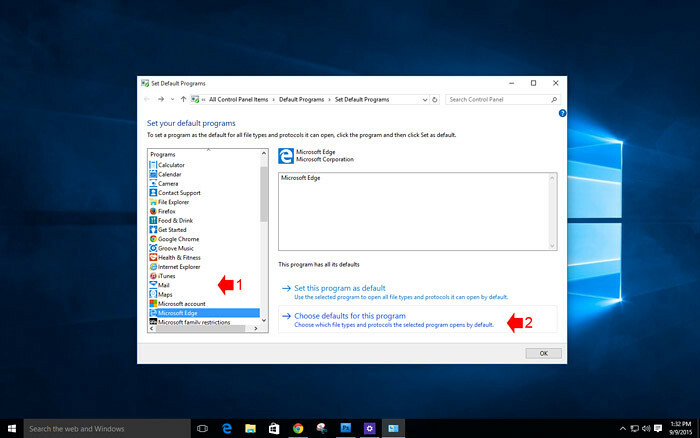 From here if you want to make simple and easy, just select a program from the left and click “Set this Program as Default” and the program that you selected has all its defaults associated with Windows. 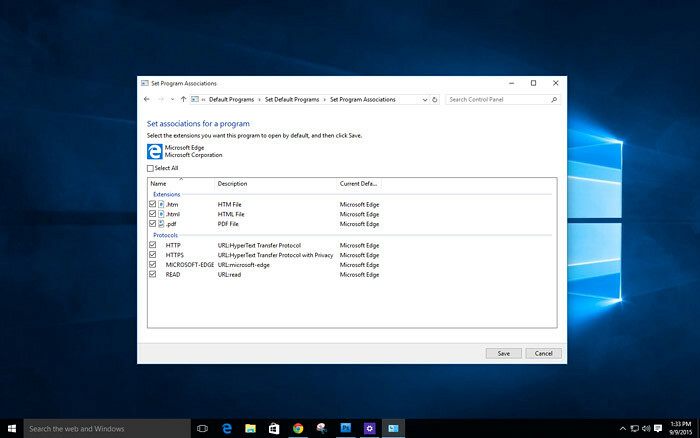 On the set program association window you can select which extension, file type or protocols to run. For example, in Microsoft Edge browser, you can disable PDF file to open in the browser by unchecking the .pdf checkbox. As always, if all the settings get messy, you can undo all to its original settings by simply clicking the magic button “Reset” all the settings will be back from where you start configuring your default apps.